The Junior/Senior Awards Banquet was held May 16 at Conway's Knights of Columbus Hall. Many scholarships and academic awards were presented. 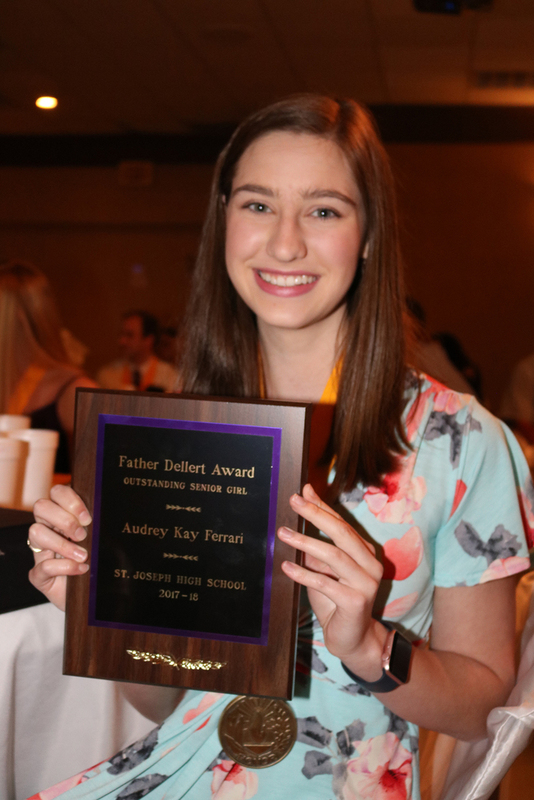 The Father Dellert Award is the highest honor a graduating senior can receive. It's given to the senior girl and boy who best exemplify what a student from St. Joseph High School should be. Audrey Ferrari is one of the two seniors who fits that description.